Hello Friends, I am sharing some beautiful and patriotic dialogues from movie Border. This is the Indian patriotic movie which is based on India Pakistan war in 1971. This movie is very famous. Border movie is released on date 13 June 1997. This movie is directed by J.P Dutta and also produced by J.P Dutta. Many stars had worked together like Sunny Deol, Sunil Shetty, Akshay Khanna, Jackie Shroff and many more. 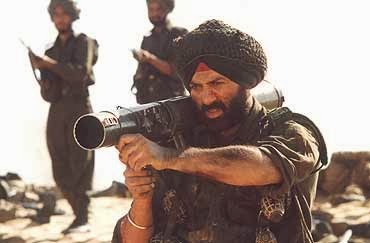 The movie is also inspired by real story from real life events that happened at the Battle of Longewala fought in Rajasthan. 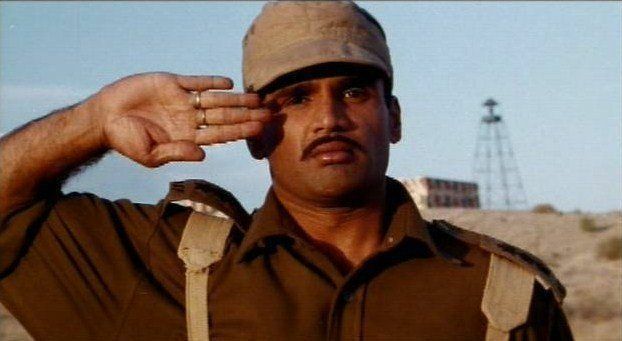 The movie has many patriotic dialogues are delivered by many actors like Sunny Deol, Sunil Shetty, Akshay Khanna And Jackie Shroff. All the dialogues are very famous and hits. This movie has all many hits song and all songs are very famous. So I have collected some best patriotic dialogues from Desh Bhakti movie Border. I hope, You will like may post.
" Pehli goli woh chalayega ... aur aakhri goli hum "
"Shayad tum nahi jaante ... yeh dharti sher bhi pehda karti hai"
"Zindagi aur maut Waheguru ke haath mein hai, Aur mera Waheguru dushman ke saath nahin ... mere saath hai "
"Woh kehte hai subah ka khana jaiselmer mein karange dopahar ka khana jodhpur mein karenge or raat ka khana delhi mein karenge lekin aaj hum unka naashta karenge, guru maharaj ne kaha hai ek khalsa sawa lakh ke barabar hota hai aaj unki baat sach kar dikhane ka waqt aa gaya hai"
"Lahore ka gunda ,gande naale ki paidaish main tenu usi gande nali nu bhejya si jahan se tu aya si "
"Aaj se tumhari har goli par desh ke dushman ka naam likha hoga"